Two weeks ago, a missionary walked into our office loaded with stories about people who have lived in the stone age era yet have had opportunities to experience God’s grace. They heard the Gospel by hearing the Scriptures from the MegaVoice Solar powered players and made life changing decisions. No wonder Gerhard Stamm could not stop talking about these people group and I could not stop grinning even after I saw him off with 20 more Envoys units, he had given away what he had! He always gives away! 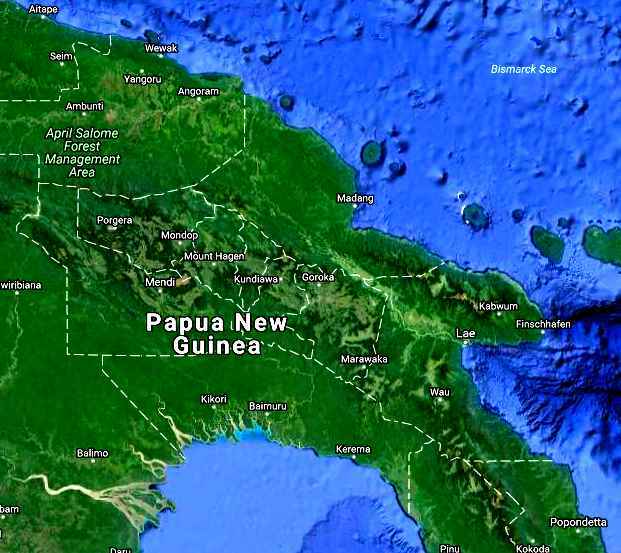 Gerhard and Brigitta Stamm serve under Liebenzell Mission International and serve here in Papua New Guinea with the South Sea Evangelical Church (SSEC). 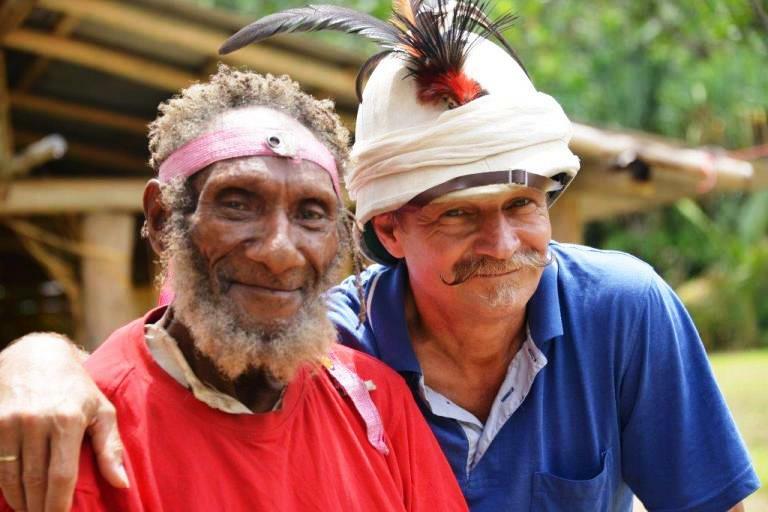 His stories cover the people group who live in the boarders of Enga and East Sepik Provinces in the April River Region. 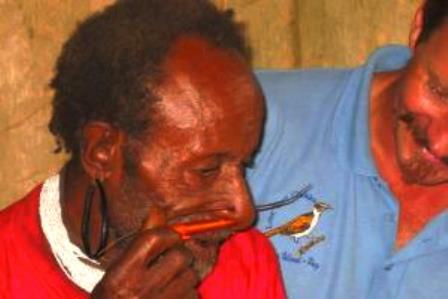 Some years ago he (Gerhard) was invited by the people of April River to visit Bikaru community on one of his ministry trips. During this visit a certain old man called Daniel caught his attention, because he was clearing his gardening area with a stone axe. Yes Daniel had a stone axe in his hand and his nose had two flying fox bones sticking out at both ends. Gerhard gave him an audio bible (Ambassador) as a gift. Daniel learned to speak Tok Pisin as a result of listening to the Audio Bible and pretty soon he became a believer. The last time that Gerhard visited him was in December 2016 and in January this year, Daniel went away to be with his Lord. We praise God for the technology of Bibles in audio format for God to reach out and touch our Stone Age people. Daniel was saved by listening to the Word of God from the solar powered audio player. 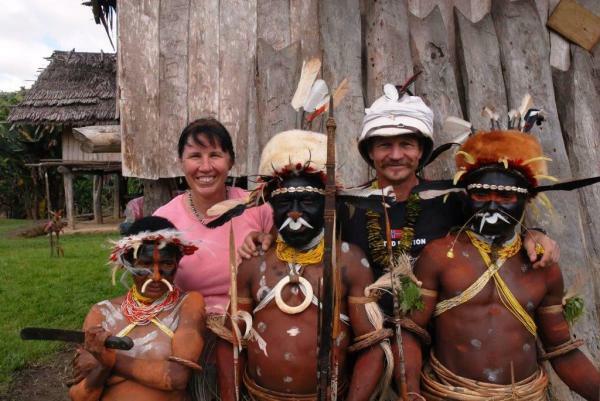 We are excited for our partners like Gerhard and Birgitta Stamm who are willing to walk 2days (1 day for locals) to provide opportunities so that the Word of God can reach the lost people groups living in the remotest places in our country. 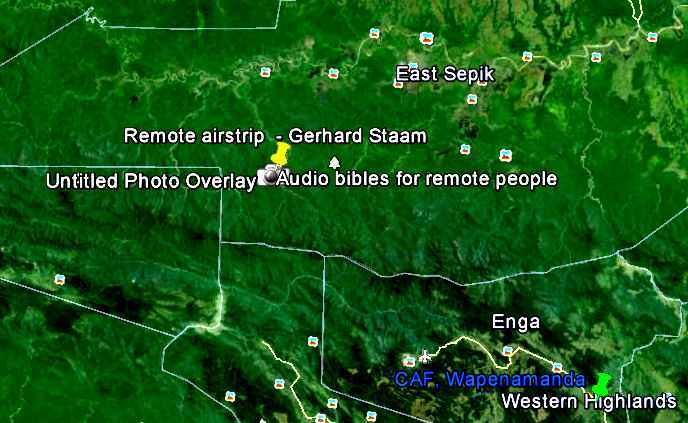 The yellow pin marks the region where Gerhard and Birgitta give away audio bibles to the people who have lived both worlds. Daniel went through two Audio Bible Units because he always used it and his favorite statement when Gerhard had time to visit him was, “I will never turn my back on Jesus”. 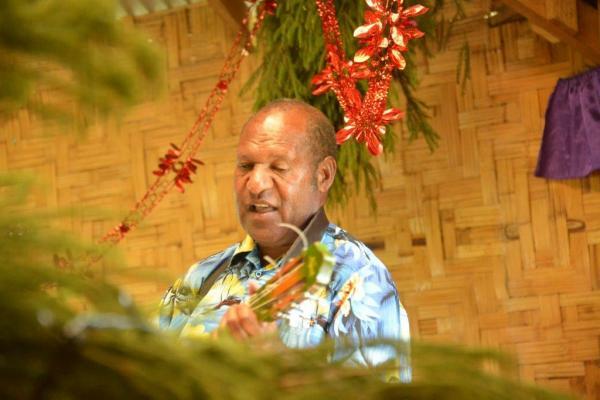 Gerhard commend Lina and the team for making these resources available so that people out in the remotest parts of PNG can know about the love and the grace of God by listening to the audio bible. It is indeed amazing that God’s grace is free and the Bible testifies that truth beyond doubt and in that same breath of grace he made technology as one of many facets to tell of his love to everyone including this particular people group that have lived in both worlds. God is indeed amazing! He also shared about an old paralyzed man in the Wario River whose eye lit up when he saw and heard the audio bible. And Gerhard was still telling stories but he had to go… the twenty units he took with him will have another 20 new stories the next time he walks into the office. Please join me as we praise God for missionaries like Gerhard and Brigitta who can give their time, their life to a people group who were never their own but by the love and the grace of God they can be part these people group. Thank you for all your prayers and support because without you we cannot reach the blind, the crippled and the Stone Aged. We are all reminded again of God’s word that does not return empty; he is faithful to His own Word, so let us be encouraged with what little we can do, an extra mile we can go, a new challenge we can face and help tell someone about the love and the grace of God. Jesus Christ is risen indeed let us tell those who have not heard yet!